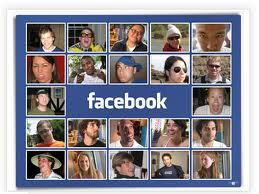 The Facebook Fan Puzzle, A Fun, 30 Piece Puzzle Facebook Fan Puzzle For Facebook Lovers. This puzzle allows rotation of pieces to make the completion more difficult. Built for Beginner and Intermediate Puzzle Lovers. The Facebook Fan Puzzle, A Fun, 30 Piece Puzzle Facebook Fan Puzzle For Facebook Lovers. This puzzle allows rotation of pieces to make the completion more difficult. Built for Beginner and Intermediate Puzzle Lovers, while still providing a bit of a challenge and fun for the more Advanced Puzzle Solver. Puzzle defaults to your computers screen resolution to allow optimum game play. To rotate pieces rightclick on them, with each click the pieces will rotate, increasing the difficulty of the puzzle and making it more enjoyable. For even more challenge, play in "surprise mode", never looking at the picture before solving the puzzle so you have no idea with the finished product looks likes. The finished image can be pulled up at any time to provide hints if you happen to get stuck. If you need help, Ghost image is enable to allow you to pull up an image overlay of the original, finished puzzle image. This will be affixed to the center of your screen and give you a bit of assistance in solving the puzzle. Gameplay options: Start, Pause, Re-start, Shuffle/Rotate Pieces. Timed or Untimed Gameplay. This game can be played an unlimited numberof times. Computer Requirements: Windows 7, Windows XP, Windows Vista 32 & 64 bit. At least 500 mb of RAM should be available in order to ensure speed. To play: Download the puzzle and click to play. Full installl and unstaill directions are included as well as help files.